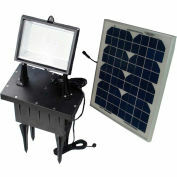 Solar Goes Green SGG-S12-WW This heavy duty fixture is packed with 12 high powered Warm White LED bulbs, and is made from pro-grade cast aluminum. 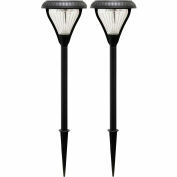 This light is a perfect solution for your outdoor lighting needs. 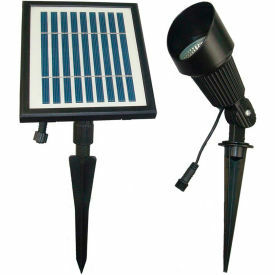 Whether it be for solar garden lights or for getting a feel for how solar light has a practical application in your everyday needs, this light is a great solution. 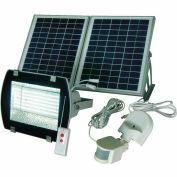 The Solar Goes Green SGG-S12 Solar Hi Intensity Spot Light with 12 high powered Warm White LED bulbs (light source) Light fixture and solar panel is connected by a 1 ft. cable, allowing ideal positioning of both. THREE mounting options available to assist you in making sure this will illuminate your flag, statuary, signs, walls or open areas correctly. Light comes standard with Ground Stake. 12 Warm White LED bulbs. 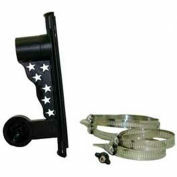 Optional Flat Mounting Flag Pole Mounting Hardware is available. 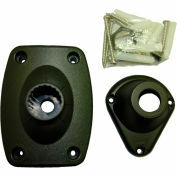 Fixture fully adjustable to point beam in any direction desired. 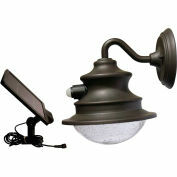 Reflective casing provides powerful spot light. 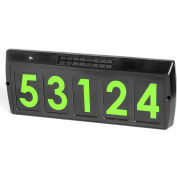 Turns on light automatically at night. 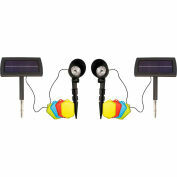 .Light illumination will last 8-10 hours based on full charge. 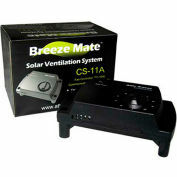 Manual Off Switch- allows for light to stay off. Perfect for lighting flags, trees, signs and open areas such as driveways, decks or walk ways .Water and Weather Resistant. 12 high powered Warm White LED bulbs. Pro grade cast aluminum construction light and ground stake. Beam projection: 25 feet by 6 feet (cone). 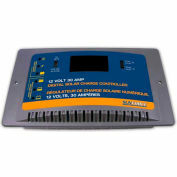 Battery-Li-ion 3.7V 2000 mAh rechargeable battery (included) - replace every 12-18 months. Light fixture size: 5" high x 3.5" wide. 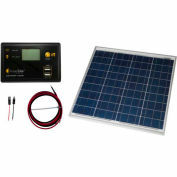 Solar panel size: 7" wide x 8" tall.